Ranveer Singh is busy these days with the prep for his upcoming film, ’83’ in Dharmshala. He has been sharing videos and pictures from the training sessions with the master cricketer Kapil Dev – the character Ranveer will be playing in the film. The cast, which is comprised mostly of boys from across various film industries in India, seems to be having a lot of fun. 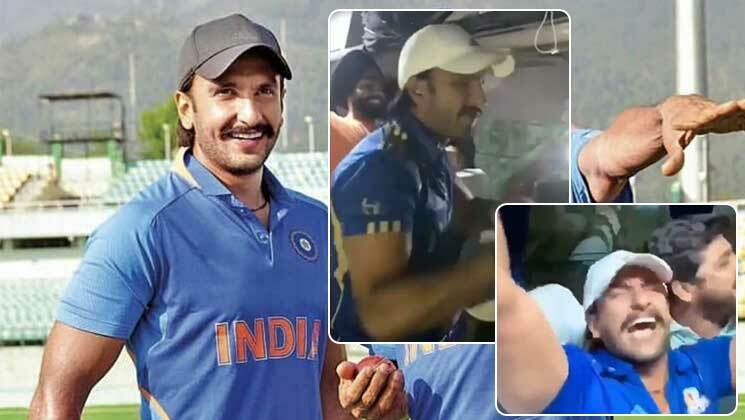 Videos of them travelling in a bus are going viral on social media where Ranveer and many others are indulging in some singing on the team bus. With Kapil Dev himself training Ranveer Singh to learn the tricks in the trade, it sure seems like it’s going to be one hell of a great film. To top it, there’s Kabir Khan’s direction which has been almost impeccable every time. ’83’ is set to hit theatres on April 10 next year.